To educate, provide resources and information, while sharing stories of how a little button battery can change a family’s life–forever. We are driven to reach as many people as possible to encourage action, provide education, and certainly to support those who have suffered. There is something each of you can do to make a difference in a child’s life. We can take simple steps to protect our children from danger as they grow up. Button or coin batteries are often hidden within many household items. Keep up with the latest button battery news and updates. 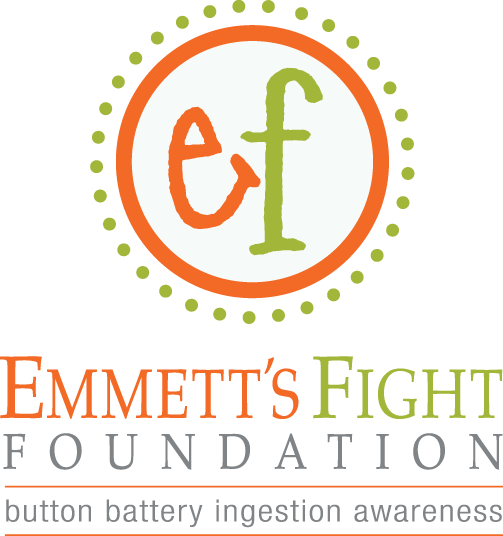 When Emmett was just a year old, he found and swallowed a button battery that had accidentally fallen out of the DVD player remote control. In a short period of time, the button battery caused two perforations to his esophagus and trachea. © 2019 Emmett's Fight Foundation. All Rights Reserved.